How many types of credit card charges are applicable to your credit card? Is it possible to minimize your credit card charges? Well before answering these question let me ask you one simple question. What to do in case a credit card company is offering you free credit card? Obviously, you will accept the offer without asking any question. Free word attracts us a lot. We end up accepting a free offer without doing due diligence and suffer badly at a later stage. If you are planning to avail new credit card here is detail about 20 types of credit card charges that you should be aware of. Joining Fee – The initial fees applicable for the availing credit card is known as a joining fee. 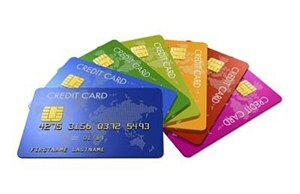 Many credit card company offers a credit card without any joining fee. However, after one year they start charging annual fees. Annual Fees – The fees charged by credit card companies annually is known as annual fees. This fee can be waived off by spending pre-fixed amount every year. The annual credit card charges are usually in the range of Rs.1000 to Rs.3000. Duplicate Statement Fees – Monthly statements are delivered to the customer place free of cost. However, a duplicate statement in the physical form attract charges which are usually fixed. Late payment charges – Every time you default on the payment you need to bear late payment charges. These charges are over and above interest rate charged by credit card companies. The late payment charges are either fixed or variable and depend upon credit card companies. Interest on Overdraft – If you spend money beyond your credit limit fees charged is known as interest on overdraft. It is fixed interest on overdraft amount. Cash Withdrawal – You can use a credit card to withdraw money from ATM. The credit card charges applicable under this case is known as cash withdrawal or transaction fees. Foreign Currency Transaction – If you buy any product or pay for any services in foreign currency the charges applicable is known as foreign currency transaction charges. This credit card charges are in the range of 3-5% of transaction amount. Outstation cheque fees – In case you settle your credit card dues using an outstation cheque. You need to pay an additional fee which is known as outstation cheque fees. Service Charges – The charges applied by the vendor on the use of payment gateway is known as service charges. This fee is also known as user fee or convenience charges. Cost of revolving credit – The credit card charges imposed on the customer if the payment due is not clear within specified time limit is known as the cost of revolving credit or revolving interest rate. The charges are the in the range of 1.99% to 4%. Petrol Transaction Surcharge – Transaction surcharge or fees applicable when you use a credit card for filling up petrol is known as petrol transaction surcharge. These charges are waived off by certain credit card companies in case your usage in petrol is beyond a certain limit. Card replacement Fees – In case you lost your credit card fees applicable for the replacement of card is known as card replacement fees. Cheque Pickup Fee – You can opt for cheque pickup services for paying your credit card dues. This fee is known as cheque pickup fees. Payment Dishonor Fees – In case, you make a payment of credit card dues via cheque and it bounces or there is a failure of ECS, the penalty payable is known as cheque bounce or payment dishonor fees. Additional Card Fees – If you opt for additional card along with your primary card, you need to pay additional card fees. Cash Processing Fees – If you decide to clear your dues by making a card payment in cash at ATM, you need to pay extra fees called as cash processing fees. Railway Ticket Purchase Fees – In case you use a credit card for purchasing railway ticket you need to pay credit card charges known as railway ticket purchase fees. Emergency Card replacement Fees when overseas – In case you opt for replacement of credit card in an emergency when you are at overseas you need to pay additional fees. Mobile Alert for Transactions – You can opt to get transaction alert on mobile. Few credit card companies also impose charges for these services. Other Charges – In addition to above credit card charges you are liable to pay other charges and tax such as service tax, swachh bharat cess and krishi kalyan tax. How to Minimize Credit Card Charges? All credit card charges mentioned above are defined in the document called as “Most Important terms and conditions”. You must go through this document when you decide to purchase credit card. In order to minimize credit card charges follow the tips given below. Before opting for a credit card do a thorough research and make a comparison sheet to select the best credit card. Understand all credit card charges by going through terms and condition document. Avoid using credit card and at all places. Pay your credit card dues before time. If possible opt for auto payment services. Never spend beyond your credit limit. Review your credit card statement on regular basis. Remember “There is no free lunch in this world”. Everything has associated cost and credit card is not an exception. So, when you opt for a credit card don’t forget to carry out due diligence. It will surely help you to save more money. « How NRI can transfer money abroad from property sale?